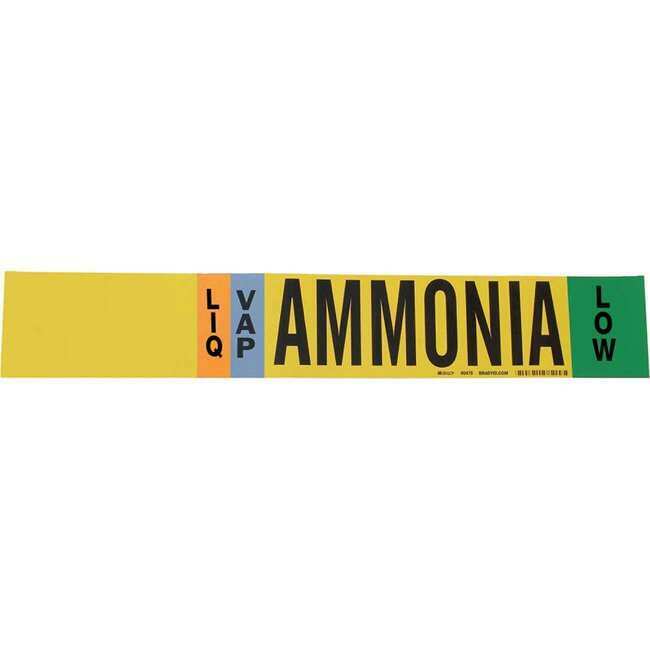 These IIAR-compliant pipe markers come with the traditional yellow background and are recommended for use in labeling ammonia piping and its contents. Style 1 pipe markers measure 2-1/4 in. x 14 in., come one marker per card, and fit pipe Dia. 2-1/2 in. to 7-7/8 in.